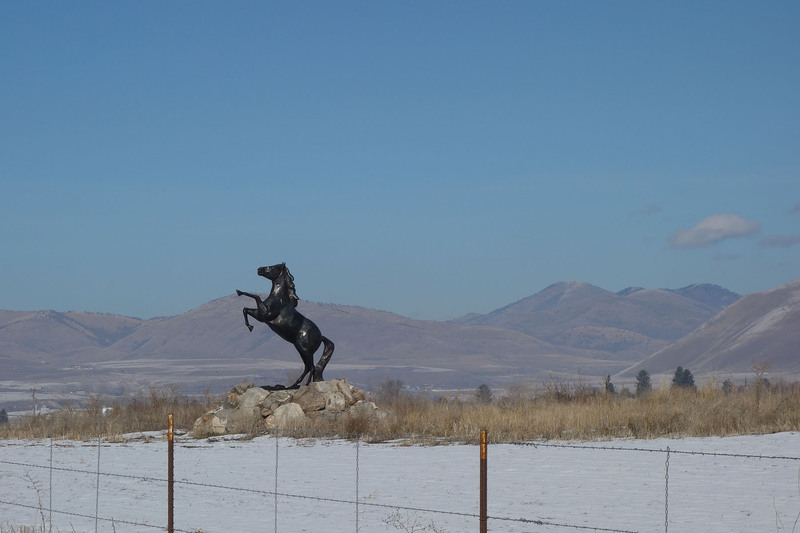 You never know when you’re going to come across a more-than-life-sized bronze statue of a rearing horse in a snowy field next to the highway. This entry was posted in Life! 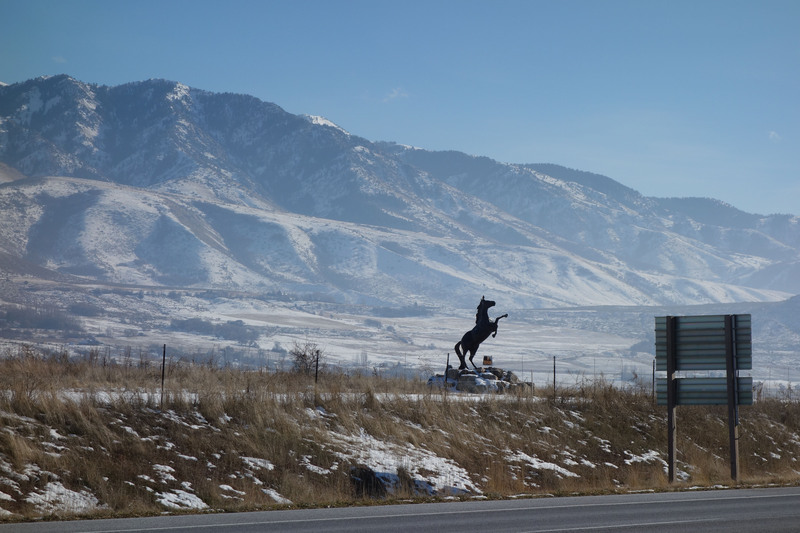 and tagged bronze horse statue, horse statue by tarvasalutes. Bookmark the permalink.